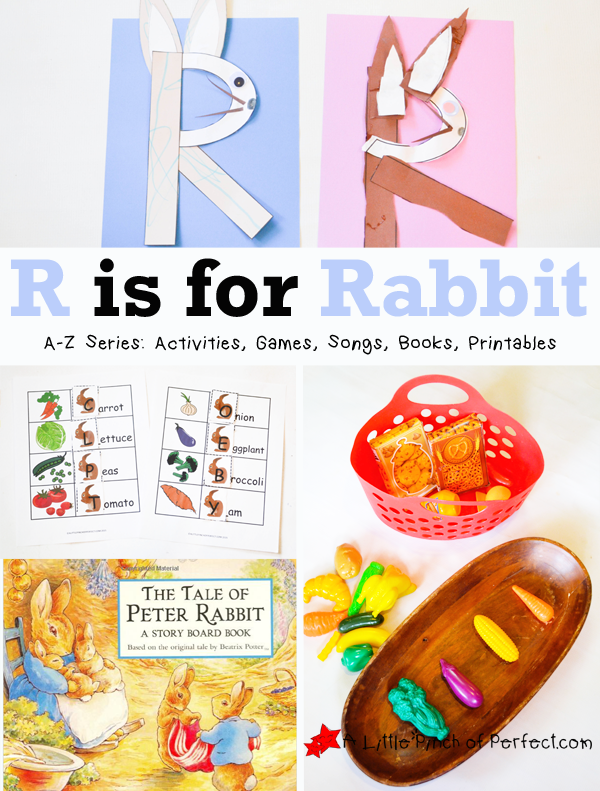 My daughter chose the word Rabbit for our letter R activities so I put together some fun activities and printables that would go along with rabbits and read the book, Peter Rabbit because we love Book Themed Activities. 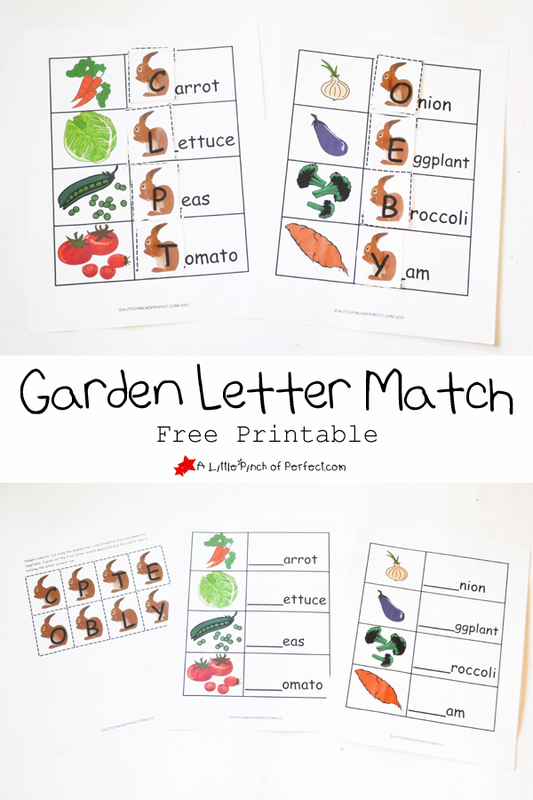 Since Peter always seems to be in Mr. McGregor’s garden and we have been spending time on our little garden, it was the perfect time to talk about food and nutrition. 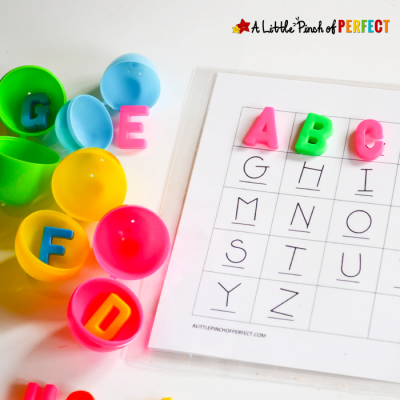 Both my kids (preschooler and toddler) had so much fun learning, crafting, and playing together as we continued on with our alphabet activities with the letter R.
1. 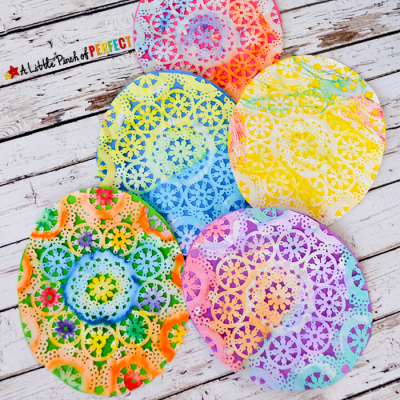 Print the pattern on craft paper using one color for the first page, and a different color for the second page. 2. 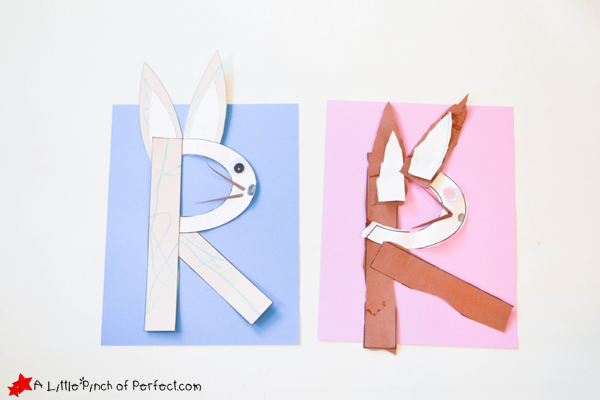 Have child cut out the parts of the letter R and glue them together (2 rectangles for the legs and a curve for the top). 3. 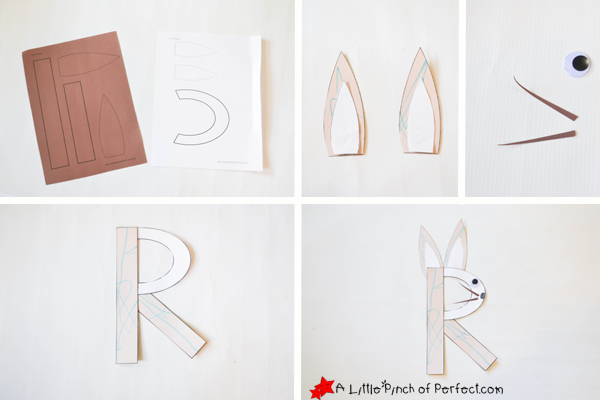 Have child cut out the parts for the rabbit, glue the rabbit ears together with the smaller part on the top, cut out whiskers, and glue them on the rabbit. 4. 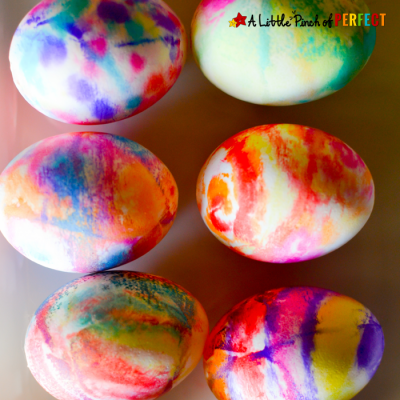 Have child glue a googly eye on the rabbits face or us a pen to draw an eye and then draw a nose for the rabbit. 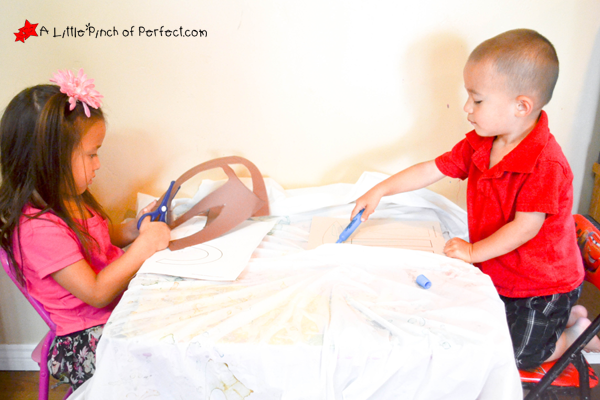 You can glue the whole craft to a piece of paper for a background if you would like. 2 Baskets (or whatever you have around 1 to represent the garden and 1 to represent the grocery store). 1. 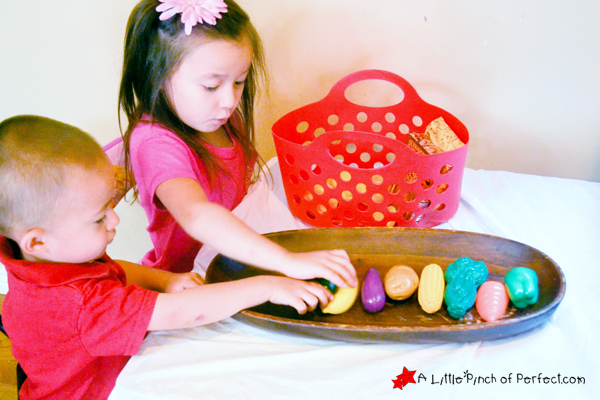 Put all the food in a pile and have the child select a food, name it, then place it in the garden or grocery store. I put all our food in a shopping cart (the same one we used for our Shopping for Letters Game) and the kids took turns selecting food. 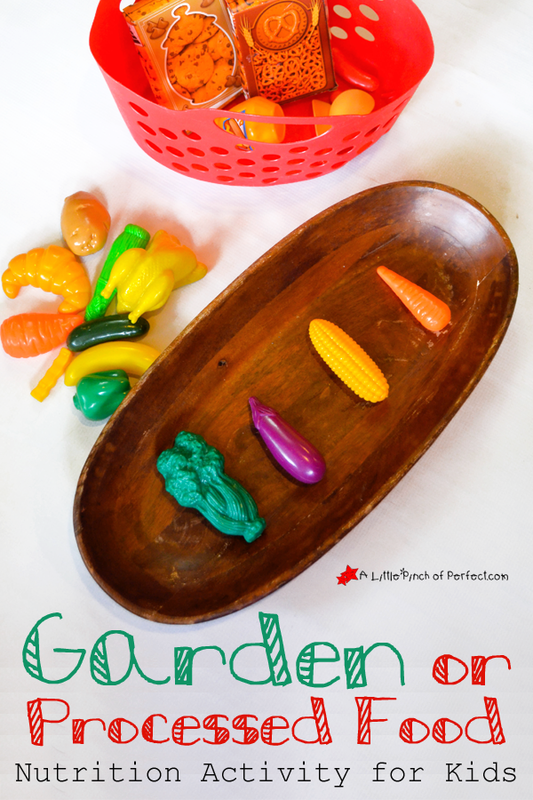 They thought it was hilarious to think about cookies, pretzels, and other processed food growing in our garden. 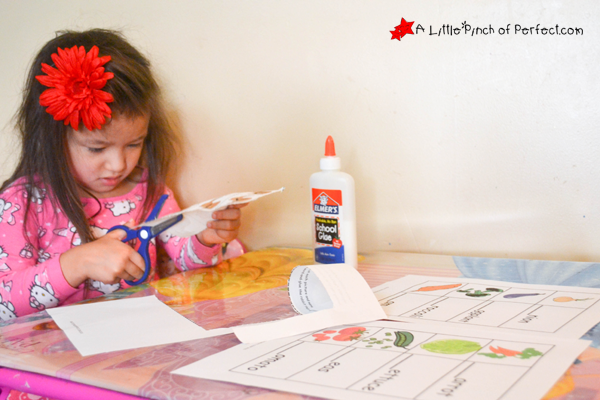 We have learned about food before with our Food Groups Activity + Printable. 1. 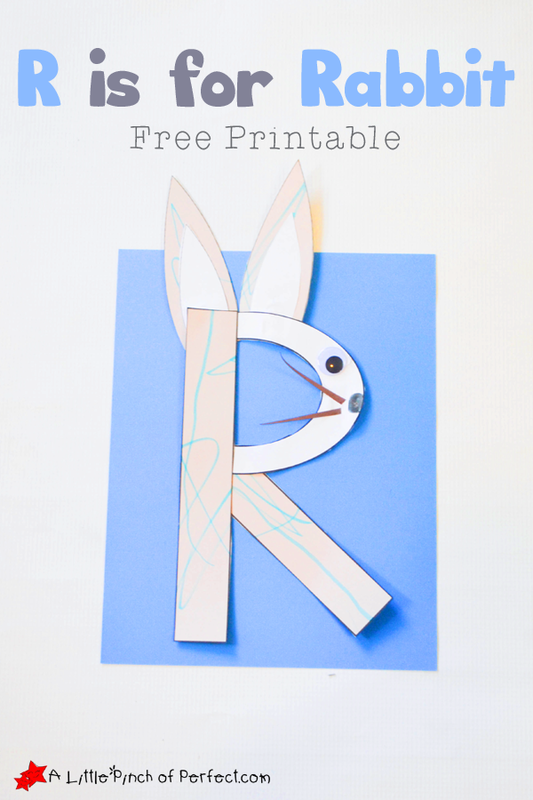 Have child cut along the dashed line to cut apart the rabbits.2. Have child look at the picture, name the food, and glue the rabbit with the correct beginning letter on the line. 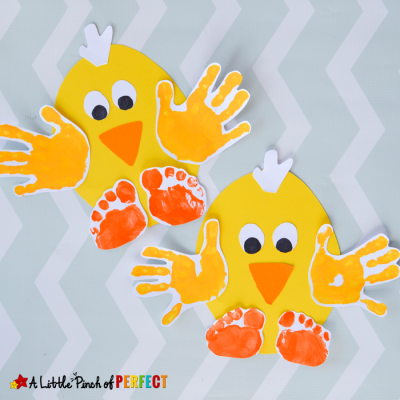 Your "R" activity and your kids are really cute! 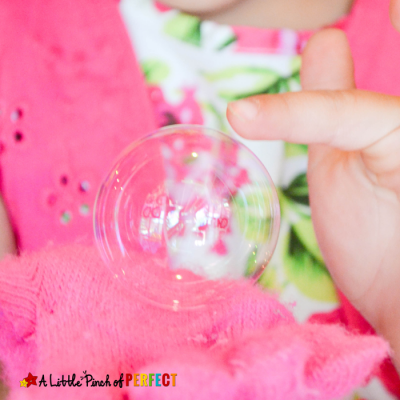 I came over on the Good-Tips Tuesday link up. I'm glad to find your site! My kids are now in college, but I often get to help with little children in my church. I will keep your activity in mind! Hi Melanie, Thank you so much for visiting and for the wonderful comments! Great idea! 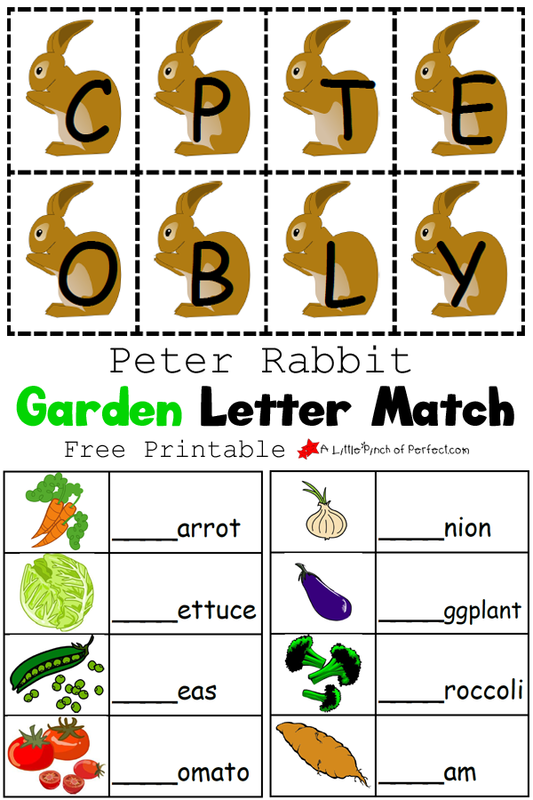 My toddler love Peter Rabbit!